Each year around late November... 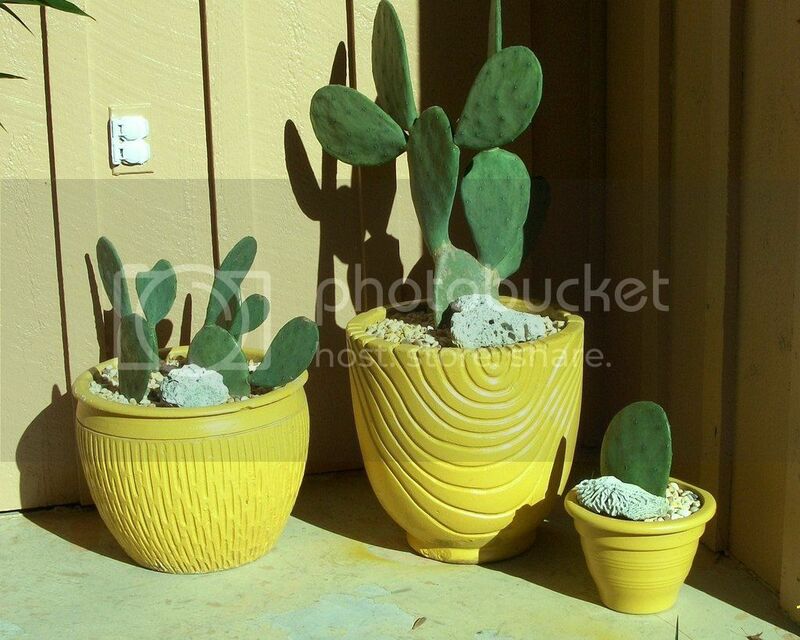 I move my potted Opuntias into my protected south side alcove. 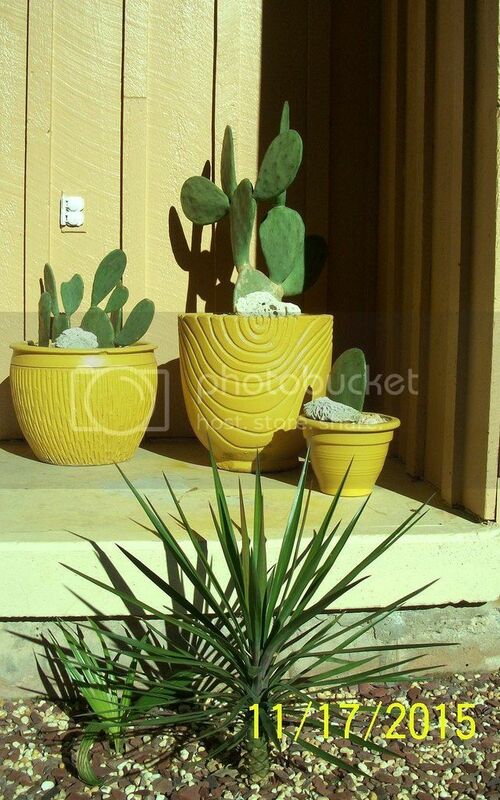 The contrast of the bright pots and deep green color seems to make winter a little warmer - LOL. This year Yucca aloifolia is parked below (planted the past March). I'll cover it if I see lows below 5 F or so (note the seedling Sabal Palmetto growing - I picked the seeds in North Florida this past winter).